Crowds out in full force and supporting their choice for Governor. “I came out this morning in support of Bryan and Roach team,” Anjanette Gomez from St. Thomas said. Others were here not only to support their candidate but to instill the involvement in politics in the younger generation. “I’ve been coming here since the time I was a little child,” Beatrice Benjamin Gumbs from St. Croix said. Beatrice Benjamin Gumbs said her father used to bring her to Liberty Day or David Hamilton Jackson Day to teach her about her Virgin Islands history. Through Hamilton Jackson’s story, as a labor leader, she learned the importance of politics. “He went and he got money for people to live better in the territory,” Gumbs added. This year, the event is even bigger as it falls just days before Election Day. Supporters of each campaign show up in their candidates gear to get out the vote. It’s the combination of both history and politics, that Gumbs wants to share with her son, and grandson. While the day can get a little competitive, Gumbs said the message of the day is really in what Hamilton Jackson did, and the power of what Virgin Islanders can accomplish. Of course, the day was all about David Hamilton Jackson. November 1stis an annual holiday in the Virgin Islands. It is the day Hamilton Jackson established the first newspaper. He was a strong supporter for a free press and a major leader in the civil rights movement. Many at the event Thursday were sharing stories of the man they call a hero. “No where in the 20thcentury will you find a hero like David Hamilton Jackson so today we celebrate his day 5 days before election. 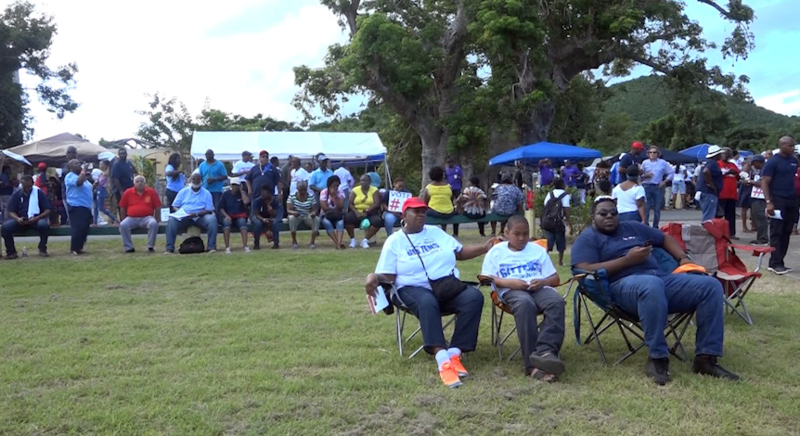 No politician can walk in his shoes for his accomplishments for his people like David Hamilton Jackson so that’s why we have this holiday it is not a federal holiday it is a local holiday,” Tahemah Edwards from St. Croix added.